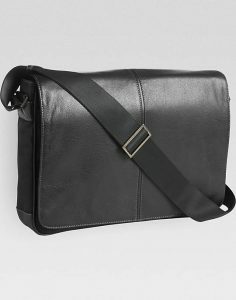 **Joseph Abboud Black Messenger Bag from menswearhouse. Price: $99.50. Discount: 50%. Categories: Fashion, Laptop, Bags, Leather. Deal Rating: 5 Stars out of 5. Store Rating: 5 Stars out of 5. Deal Recommendation: Recommended. Available Until: Limited Quantity. Thoughts: This combination leather and nylon messenger bag is equal parts rugged and stylish with nylon body and fine leather accents. This spacious bag features magnetic closures, multiple pockets and a nylon shoulder strap. **Victorinox Laptop Backpack from menswearhouse. Price: $112.50. Discount: 50%. Categories: Fashion, Laptop, Bags. Deal Rating: 5 Stars out of 5. Store Rating: 5 Stars out of 5. Deal Recommendation: Recommended. Available Until: Limited Quantity. Thoughts: Keep your business essentials safe and at hand with this Victorinox Laptop Backpack. Padded device pockets keep your devices safe and protected. **Victorinox Laptop Backpack from menswearhouse. Price: $112.50. Discount: 50%. Categories: Fashion, Laptop, Bags, Leather. Deal Rating: 5 Stars out of 5. Store Rating: 5 Stars out of 5. Deal Recommendation: Recommended. Available Until: Limited Quantity. Thoughts: Ideal for business or everyday this comfortable backpack has safe and convenient storage for a 17-inch laptop, tablet, or eReader with multiple inner and outer pockets.